If you've already purchased, go to the My Ireland content. 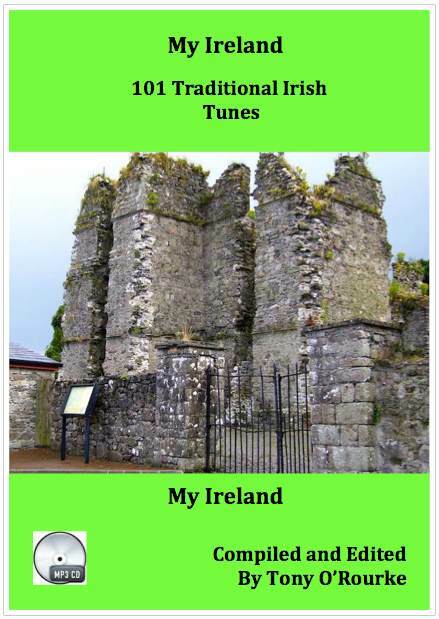 An ideal companion for learning Irish tunes.With 101 tunes in all - Jigs, Reels, Hornpipes, Polkas and O'Carolan tunes - the book contains sheet music and chords for all the tunes, with MP3s of Tony O'Rourke playing the tune on a banjo at a moderate pace, with guitar accompaniment. You can download a free sample of the book (PDF, 840k), which contains the full table of contents and a few pages of the sheet music and tablature, and listen to each of three tunes: Coalminer’s Reel(A), Cat That Ate The Candle (a Jig), and O’Carolan’s Concerto. And if you're not happy, we'll refund your money.